The Nantucket Historical Association aims to provide meaningful educational opportunities for the entire Nantucket community and beyond. Our island presents unique challenges and opportunities in which to learn from the past, while seeking solutions to contemporary issues. In addition to K-12 programming, new this year is a deep-immersion mentorship program for Nantucket High School students. As part of this program, students will learn life skills in a professional environment, have access to a college prep advisor, and create programs that fit community needs identified by them. The program meets for three 8-week sessions after school, and as part of working in a professional environment, this program will pay students for their time. 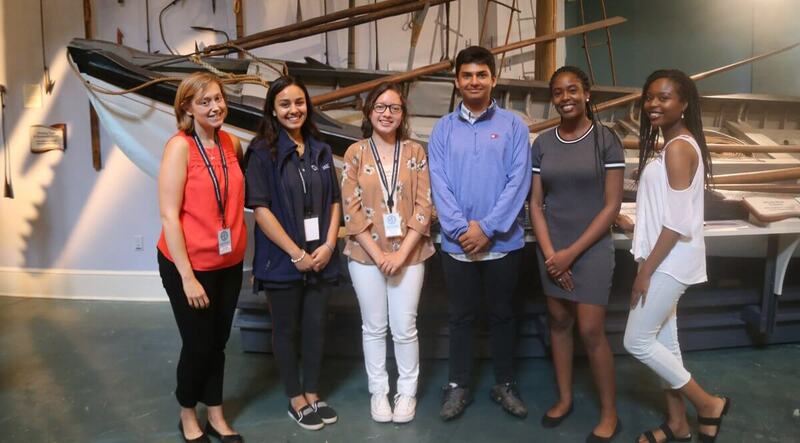 Over the two-year program, students will work with the Manager of Education, who will guide them through the NHA’s mission and content, introduce them to the inner workings of the various departments, and teach Nantucket history. Students will also engage in research, public speaking, career exploration and activities to further the mission of the NHA. A common thread throughout this program is a capstone project where the students partake in an independent or group, student-driven effort addressing major themes within Nantucket’s historical and cultural fabric, later the students will present their project to the community in an interesting and exciting way. The Youth Mentor Program is open to all Nantucket students in the 10-12th grade level. Students must be in good academic standing. To apply for the Youth Mentor Program, interested students should fill out the application available on the website, or pick one up at the front desk of the NHA offices at 15 Broad Street. All applications can be submitted to: Amy Durbin, Manager of Education at the NHA. Potential candidates will be invited to the Museum for an interview. Please click here to access the Youth Mentor Program Application PDF.